Travel in style at SpringHill Suites by Marriott in Pueblo Downtown, the all-suite hotel that seamlessly blends design and functionality offering the modern amenities you need to stay refreshed and focused all at an affordable price. Spacious suites and vibrant lobbies offer flexible spaces perfect for working, meeting or relaxing in Pueblo. Take the stress out of travel with free Wi-Fi, relaxing pools and fitness centers. Our Market is open 24/7 for snacks and necessities. Enjoy our complimentary new breakfast with fresh choices for a customized start to your day like eggs with local salsa or Greek yogurt and oatmeal complete with a toppings bar for a variety of options. 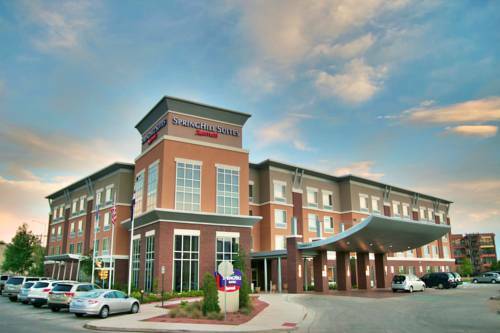 Discover SpringHill Suites on your next visit to Pueblo and leave relaxed and refreshed. Conveniently located off I-25 exit 98B. 2 blocks from Pueblo Riverwalk and Historic District. 1 block from Pueblo Convention Center. Close to Pueblo Zoo, Ice Arena, and Colorado State Fair Grounds.